Just in time for Mother's Day! 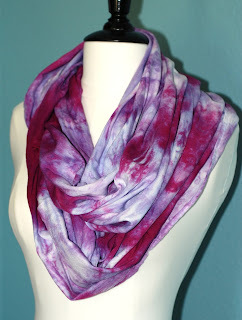 Jump over to my Etsy shop, Studio Jules Art, and pick out a sweet infinity scarf or hankie for your mom! For those of you that are TCU fans or support the Alzheimer's Association, there are some scarves that are just the right colors!